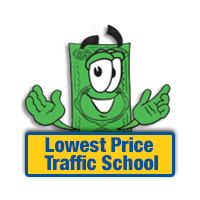 Our Standard Value Package provides an easy and economical path to your Learner's Permit. You'll get our DMV-Approved Online Driver's Ed Course that can be completed in the comfort of your own home and our Online Permit Practice Test that will help prepare you to pass your DMV written exam. This DMV-Approved drug and alcohol course can be completed 100% online from the comfort of your own home. 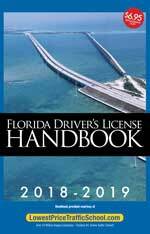 This course is mandatory for all Florida First Time Drivers. Florida DMV Practice Test which include Rules of the Road and Road Signs questions straight from the DMV handbook. A unique studying format makes it much easier to learn. What you'll love most about our course format is the convenience and ease of use it provides. You can study the course anywhere at anytime, day or night. You can also work on your course whenever you want because you'll have unlimited access. Want to take a break? Just log off and the system will save your work. It's that easy! Once you complete your course and pass the final exam, we'll process your certificate of completion and send it out via US Mail. If you have an important DHSMV deadline to meet, you may request expedited delivery. Just choose an option at checkout. With our Standard Value Package you're not only getting special First-Time Driver preparation, you're also getting it at the lowest price you'll find. If you do happen to find a lower price, give us a call and we'll make it right. Find out more about our exclusive Low Price Guarantee. We not only offer the lowest prices on the net, we also include a no questions asked Money-Back Guarantee. If you happen to be unsatisfied with our course for any reason, contact customer service and they'll process your refund right away. Learn more about our Money-Back Guarantee.